This is part 3 of my review of Michael Raduga's book The Phase. Click here for part 1. Click here to read part 2. In part 1, I talked a lot about the book's "story" and shortcomings. In Part 2 I talked about Raduga's OBE induction techniques. In part 3, I'll cover other important points made in the book. Perhaps the key is trying to remain completely passive while encouraging your subconscious to keep acting toward the OBE on your behalf. In other words, try to be consciously passive but subconsciously aggressive. For example, I often induce a floating or rocking sensation in my body, and then "set it and forget it." In other words, I try to hold a resolve to keep floating or rocking while I consciously force my mind down into a completely passive state. Raduga talks about a "trick" technique he calls "forced falling asleep." That quote reminded me of my own technique of Sneaking Past The Gatekeeper. Basically, you do such a credible/believable imitation of being asleep that your subconscious thinks it's "lights out," and literally pulls you out of body. I'm not sure I buy it. I've always believed that Lucid Dreams (LDs) were different from out-of-body experiences (OBEs). I believe LDs are more life-like and more closely mimic physical reality because they are self-created hallucinations. I believe OBEs are non-hallucinated events; perceptions of some kind of non-physical environment, and therefore, they don't translate as well into terms of our human-based sense perceptions. My lucid dreams tend to be more controllable, whereas my OBEs tend to be more out-of-control. In a lucid dream, I can make things appear or disappear, or change a hallway into a tunnel by an act of will. In an OBE, I cannot. But I digress. More about control later. Palpation - Touch and feel anything in your immediate surroundings. Peering - Look closely and deeply at the details of objects around you. Aggressive Action - Try waving your arms or legs, swimming motions, etc. Imagining Reality - Aggressively imagine being somewhere in the physical world. Use Phase Objects - Convince yourself that some object, like a pocket watch, is in your pocket, and is a "deepener." Diving Headfirst - Dive into the ground. I disagree. I hardly think longer OBEs are "unheard of." Although I've always been skeptical of such claims, some people claim to have had multiple-day OBEs. I personally have had OBEs that lasted about an hour and a half. Now was that my flawed perception of time, or real clock time? Since I was inside the experience itself, I can't say for sure. In most cases, I check the time when I start my OBE attempt, and check it afterward, and they seem to coincide. In almost all my OBEs, time seems to pass somewhat normally. Sensory Amplification - touch and examine things. Constant Vibration/Strengthening - try to reconnect with and strengthen "the vibrations" during the experience. Diving Headfirst - Dive headfirst with your eyes shut. Forced Falling Asleep (3 to 5 seconds) - Try to force yourself to sleep, but resist actually falling asleep. This is like making an OBE attempt inside the OBE. Rotation - Try to rotate. Counting - Try to count. Listening In - Listen intently for noises such as buzzing. Hooking onto the phase - Grab an object and try to squeeze it. Using Phase Objects - Find a "phase stabilizer" in your pocket. Vocal Maintaining - Try to sing or recite poetry. I disagree with that too. I often use my internal dialog to help remember what happened. "Oooh, I've got to remember that I saw this!" Well, yes, I think that almost everything negative we encounter is self-created from our fear. Still, I'm not 100% convinced. I still think at least a small percentage may be from external non-physical entities. What I always recommend is this: if you're too close to your physical body (Muldoon's "cord activity range"), close your eyes and keep them closed until you're at least 15 feet (5 meters) away, then make an effort to open them. If you try to open them when you're close to your body, your body's eyes might open, at best causing confusion, or, at worst, you'll be driven back inside your body. I strongly disagree with this. The ability to consciously communicate with the subconscious is not only possible, it's the entire basis for my fourth book, Answers Within. He makes it clear that the phase should never be used as a substitute for professional medical help, but it can often offer incredible insight and aid to healing. The phase has an unparalleled potential for artistic development. The best part? Well, I guess that about covers it, from my outlook. As I said before, the book is well written and informative. I highly recommend it to anyone who wants to learn to self-induce OBEs. I give it five stars. 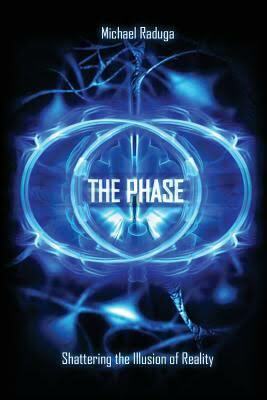 This is part 2 of my review of Michael Raduga's book The Phase. Due to the length, I had to split the review into 3 parts. Click here to read part 1. Raduga says the indirect method is the most effective technique, and the only one beginners should use. Select two or three exit techniques from the list given below. Set an alarm clock for six hours after you go to bed. Since normal dream cycles are about 90 minutes long, six hours is timed to coincide with the end of the fourth sleep cycle. This maximizes the chance of maintaining lucidity when you drift back down. Wake up with the alarm. It's best to have your sleep interrupted, not to wake naturally (not critical, but recommended). Stay awake 3 to 50 minutes. Stay awake more time if you're a heavy sleeper, less time if you're a light sleeper. Set the intention not to move when you wake. As you drift back to sleep, hold the intention that when you wake up again, you will not move your physical body. If you do move, don't worry; it's not critical. Because your body is mostly well rested, you may also have several short (abbreviated) sleep cycles rather than a full 90 minute cycle. But be prepared to spend the next 2 to 4 hours in bed. Allow yourself to wake up naturally this time. Remember: Try not to move when you wake up. Try for immediate relocation: to your mirror. Imagine you are standing at your bathroom mirror. Try to imagine yourself there. This is pretty much the "target technique" described by Buhlman and others. It doesn't have to be your mirror, but that's Raduga's first choice. Don't spend much time on this; only a few seconds. If that doesn't get you out of body, go on to step 9. Try for immediate separation from your body. Try levitating, standing up, or rolling out, with your astral body only (but be careful not to move your physical body). Again, don't spend more than a few seconds on this. If that doesn't work, go on to step 10. Try each of the techniques you chose in step 1 for three to five seconds, then move on to the next one. If a technique it gets results, focus on it a bit longer and try to encourage those results. For example, if you feel vibrations, or feel like your astral body is moving, keep working that technique. If it doesn't get results after three to five seconds, switch to the next technique. If none of these exit techniques get results, repeat the process again, starting with the first technique. Cycle through them regardless of whether you moved or didn't move your body. Perform at least 4 complete technique cycles. Don't give up until you've spent a full minute cycling through all pre-chosen exit techniques, for 4 complete cycles (or until you're out of body). If you didn't get out of body within a minute of trying, go back to step 5. Go back to sleep for another short period, with the intention of not moving when you wake up, then repeat the process. Imagine that you are spinning around inside your body. Try to watch hypnagogic images that appear before you. Pretend you're in the water, swimming. Try to imagine a part of your astral body is moving; a little at first, but then it increases. He recommends your little finger. My belief is: it's also okay to use other exit techniques here. Don't be afraid to invent your own. For example, some people may want to use Robert Bruce's "rope" technique. I often imagine I'm rocking back and forth or forcefully swinging my arms from above my head in a downward motion. The key here, in my opinion, is to trick your awareness into focusing more on an imaginary or nonphysical body image than the actual physical body. Raduga's "direct method" is similar to the indirect method, but he emphasizes that this should not be attempted by beginners or anyone without considerable experience using the Indirect Method. You still ride the cycles of sleep, but can also use nap time to induce "micro-sleeps". What time of day should you practice the direct method? Raduga's not exactly clear when it should be done. I personally think a slightly uncomfortable position is the way to go. Given the context in which it was written, I think what he's trying to say is: it's good to have a burning desire to have OBEs in general, but while you're actually trying to induce it, let go of that desire (and everything else on your mind, I might add). For example, sound and light machines that detect REM sleep and signal the dreamer with flashing lights. For example, a partner waits for you to fall asleep, then they whisper in your ear. For example, the Christos Technique. For example, sleep for 6 hours, drink coffee, then go back to sleep with the intention of having an OBE when you awaken. And as I said last time, he strongly discourages the use of drugs and supplements (other than coffee). Again, this is a world class OBE technique book. Don't take my word for it. You'll gain a lot more insight by reading the book than just reading my review of it. In part 3, I'll cover some of Raduga's tips and hints for inducing the phase, techniques for deepening (improving the experience), maintaining (making it last longer), and lots of other things.